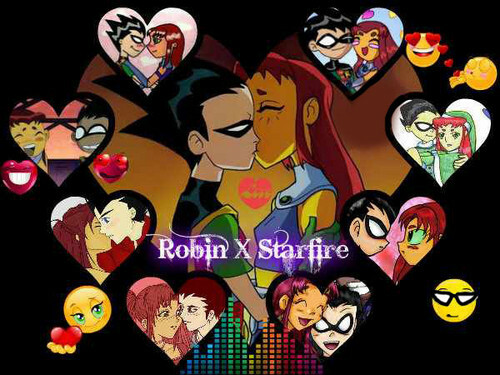 Robin X Starfire. . Wallpaper and background images in the 틴 타이탄 커플!!!! club tagged: awww robin and starfire very cute. Come on,jewelryfan11,at least they look cute together.